As the title says, today is officially Take Your Dog to Work Day. I’m not exactly sure how or who made this official, but I’m pretty sure there was no Act of Congress, such as in the declaration of Mother’s Day. As a dog lover, I appreciate the idea of employers caring about their employees’ poor pooches that are home alone for hours on end while their owners toil away in the old salt mine. And it’s true that maybe an employee might stay at work a little longer if they had their trusty hounds by their side. I’m a big advocate of employers finding the right “perks” to make their workers want to stay with the organization. These can and should address what’s causing distraction or even absence from work or what might make someone decide to take a job with an organization. Student loans, which I sometimes refer to as the next economic bubble in this country, are a great example. More employers recognize that many of their new recruits have heaps of student loan debt and a good recruiting incentive is student loan repayment assistance. I’m also a dog lover. Just check out the dog hair on every item of my clothing, but, I can’t see how allowing employees to take their dogs to work is such a good benefit except in the most special of workplaces. First of all, any employer who approves Take Your Dog to Work Day, is really approving a Visit With Your Co-Workers and Their Dogs and Goof Off All Day. Maybe that’s good for morale, if not for productivity. What about the employees who (gasp) don’t actually like dogs, not to mention those who might be allergic? Do you give them the day off? Do you have to deep clean the workplace over the weekend to rid it of any fur or dander? Are you creating a situation where you ensure that some employees really love their job for a day (albeit one very unproductive day) while making non-dog lover employees bitter and feeling left out? Will it be like closing early on the day before 4th of July and the employees who already took that day off are mad that they had to use a whole vacation day when they could have come in and left at Noon without using any of their time if only they had known the office was closing early? And, let’s face it, having Take Your Dog to Work Day sounds like a lot of trouble. Employers have to establish a fairly exhaustive set of rules of behavior for dogs and their owners alike. 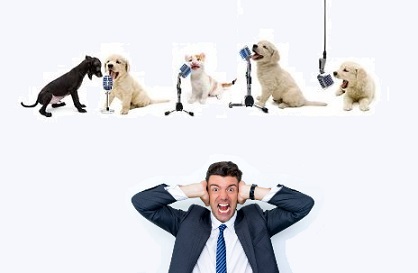 Are only neutered guests invited (dogs of course) to avoid inappropriate behavior in the workplace? Should there be a playroom set up for the dogs, like an indoor dog park? If so, who will monitor that? What kind of behavior will get a dog (and its owner) sent home? And, of course, what about workplace accidents? And if you think some employees are boastful and competitive about their children, wait until they try to “one-up” each other over their dogs. This is definitely more complicated than having casual dress Friday. Unusual employee perks are a tricky thing. They have to actually offer a benefit that at least most employees find useful. Take Your Dog to Work Day might succeed in a minority of workplaces, but the vast majority of employers might want to think about benefits that positively affect their employees’ lives on more than a single day of the year. Maybe if dogs are a big part of your employees’ lives, you can pay for a dog walking service when an employee has to stay late, or helping with student loan repayment so they can pay for their own dog walkers, or establishing a telecommuting policy so your employees can let their dogs out during the day. The list could go on and on. In the meantime, enjoy No Work Is Getting Done Because We Can’t Think With All This Barking Day.